Daniel Pick, professor of history and a psychoanalyst, is leading a research group at Birkbeck exploring the history of the human sciences and ‘psy’ professions during the Cold War. 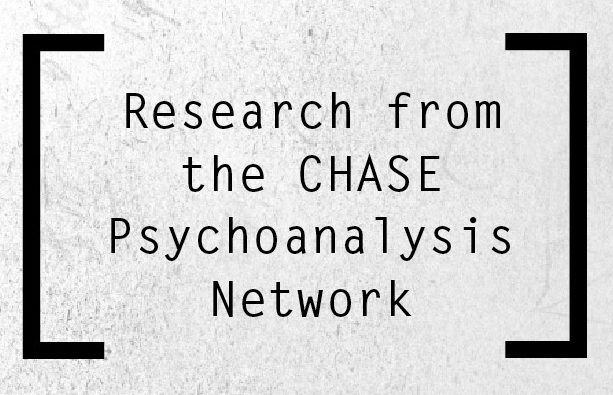 He currently holds a Senior Investigator grant from the Wellcome Trust for this project, entitled ‘Hidden Persuaders’: Brainwashing, Culture, Clinical Knowledge and the Cold War Human Sciences, c. 1950-1990′. Details can be found on the project website: http://www.bbk.ac.uk/hiddenpersuaders/. He welcomes doctoral applications in that field, or in his other areas of specialism. Daniel Pick is also a Fellow of the Royal Historical Society and the British Psychoanalytical Society. He has written features, and contributed to a variety of radio and television programmes, and online discussions, and has presented several radio documentaries for the BBC. He was the series consultant to the 25-part BBC Radio 4 series, ‘In Search of Ourselves’ (2014). He has written on diverse topics in nineteenth, twentieth, and contemporary cultural and intellectual history, including debates on evolutionary theory, the idea of degeneration, eugenics, social Darwinism, Victorian cultural attitudes to crime and madness, psychoanalytic though on war, and militarism, dreams, the myth of Svengali, the cult of Garibaldi, Italian nationalism, the literary representation of Rome, the fear of brainwashing, and methodological problems associated with psycho-biography, and the application of psychoanalytic thought to history. His most recent books are The Pursuit of the Nazi Mind: Hitler, Hess, and the Analysts (2012) and Psychoanalysis: A Very Short Introduction (2015). A co-edited volume, with Matt ffytche, Psychoanalysis in the Age of Totalitarianism, will appear in 2016. Earlier publications include Rome or Death: The Obsessions of General Garibaldi (2005), as editor (with Lyndal Roper), Dreams and History: The Interpretation of Dreams from Ancient Greece to Modern Psychoanalysis(2004), War Machine: The Rationalisation of Slaughter in the Modern Age (1993) andFaces of Degeneration: A European Disorder, c. 1848-1918 (1989). He is an editor of History Workshop Journal, a member of the advisory board of Psychoanalysis and History and Cambridge Studies in Nineteenth-Century Literature and Culture, and is also on the editorial board of the New Library of Psychoanalysis.